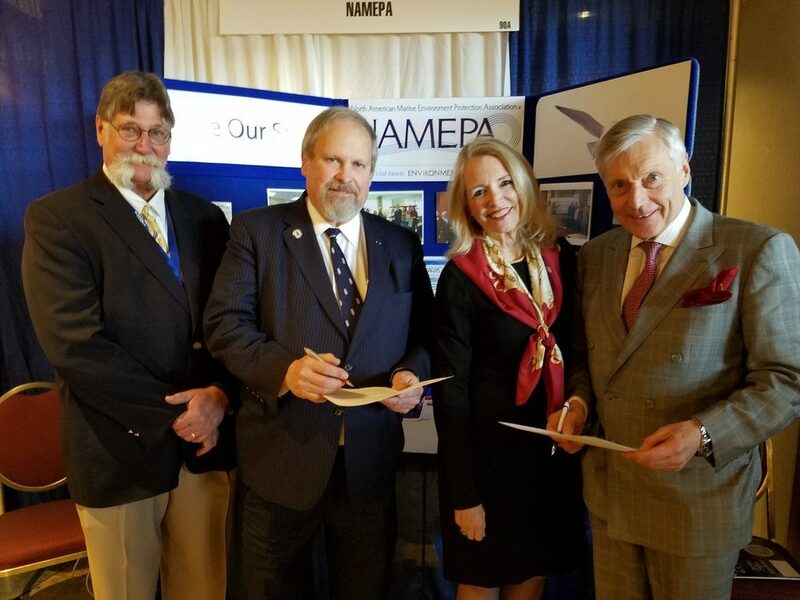 NAMEPA members help to Save Our Seas! Join NAMEPA to help us advocate preserving the marine environment by promoting marine industry best practices. — Joe Hughes, SCB, Inc.
— Rob Lorigan, International Registries, Inc. Conferences, Seminars, and Speaker Series, provide the opportunity to meet with a wide variety of industry professionals and expand partnering with organizations on a global basis to accomplish common goals. K-12 which are easily adaptable to a wide-range of settings such as in-house education, students and the public in general. Extensive Social Media Outlets - promotion of the marine industry, its role in global commerce, and news of member companies through active social media programs. C. R. Weber Company, Inc.